PLEVNA — North Frontenac Township is to appeal any large-scale wind energy project approved for the township. Township council agreed on Friday that an appeal to the Environmental Review Tribunal would be pursued if either of the large wind energy projects proposed for the area are approved. NextEra Canada has proposed two projects for North Frontenac and neighbouring Addington Highlands Township. The Ontario government is expected to announce in the coming weeks which of the almost 120 proposed energy projects would be approved. The government is seeking to add up to 565 megawatts of renewable energy to the province’s electricity supply. Of that new energy, up to 300 megawatts is to come from new wind projects, 140 megawatts of new solar power, 50 megawatts of bioenergy and 75 megawatts of hydro electricity. The NextEra projects include the 100-megawatt, 50-turbine Northpoint I in North Frontenac and the 200-megawatt, 100-turbine Northpoint II in Addington Highlands and North Frontenac. Seven of the 100 turbines proposed for the Northpoint II project are in North Frontenac, and the township provides the shortest, most affordable route to connect the project to the transmission lines. Higgins said the whole process of new energy procurement has been marked by secrecy and a lack of information being shared amongst involved parties. *Web editor note: Addington Highlands council did vote to support the project but that was after a poll of taxpayers was conducted, with the results that 81% of residents did NOT support the power project. Council voted to support it anyway. See www.bearat.org for more details, including FOI documents. Warwick Mayor Todd Case says the latest process to bid for wind energy projects amounts to extortion and his municipality won’t be part of it. Four wind energy companies are in the process of bidding for industrial projects in Warwick, Brooke-Alvinston and Enniskillen. As part of the process, the companies are approaching municipalities to talk about what is going on and hoping to gain some form of support to improve their chances of approval. Under the new process approved in June, companies receive bonus points for some forms of municipal approval. There is a form to say they have met with the municipal government which bears no points. If a company signs an Community Commitment Agreement with a municipality, it receives points which make the project more likely to be approved. Municipalities can also endorse projects; those projects are mostly likely to be approved. Suncor Energy and NextEra, which are both preparing bids for projects in Warwick, are pressing the community to sign Community Commitment Agreements which include compensation for having the turbines in the community. But Mayor Case says Warwick is not about to sign anything and shouldn’t be penalized financially because of it. Case says it is clear Warwick is not a willing host but because of the way the process is not structured, it can only get compensation for the projects if it helps the companies by signing the required forms making the project more likely. So Case says Warwick is getting creative – and political – to point out the flaws in the new system. It’s had lawyers draft a letter which has been sent to the companies outlining what the municipality expects for compensation should the projects be approved. There is about $45,000 to reimburse the municipality for legal costs, $6,000 for every turbine they put up and flat fee of $200,000 among other things. “They like to put things in front of us to sign…if you really want to talk the talk, walk the walk,” says Case. “We could sit back and do what were doing,…but let’s throw something back at these guys…this is what you’ll be paying if it’s approved against our wishes. So far, Case says one of the companies has refused to talk about the letter, the other has spoken to them but made no commitments. Case has asked for a meeting with the Energy Minister during the annual Association of Municipalities conference in mid-August. He’s just been told that won’t happen and he’ll be meeting with the parliamentary assistant instead. Property owners in Addington Highlands are reminded that the deadline to register your opinion on the issue of the proposed wind power project by U.S.-based NextEra is midnight TONIGHT. A new industrial wind farm is proposed for the North Frontenac region north of Kingston, Ont., and this has angered some of its residents. The proposed green energy initiative from NextEra Energy Canada is slated to be built in the middle of the North Frontenac Dark Sky Preserve. The approximately 200 industrial wind turbines proposed would have strobe lights on top for aircraft safety, which would all but eliminate the dark sky in the area. The region is home to Canada’s first municipal Dark Sky Preserve that limits light emissions from human activity to allow star-gazers to appreciate the night sky. The township has centred its economic strategy on promoting its dark skies to tourists. Just south of North Frontenac there is a $47,000 star-gazing platform from where thousands of stars can be seen. The wind farm would put this all in jeopardy as the Dark Sky Preserve designation does not entitle the area to any protected status. In response, resident Chris Albinson penned an open letter to the Ontario Minister of Energy stating concerns ranging from the appreciation of a beautiful night sky, preserving habitat for endangered species and the overall economics of the initiative. Wood Buffalo National Park, which straddles the N.W.T. 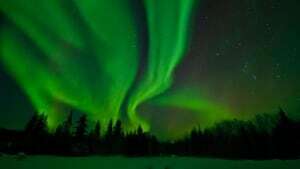 and Alberta border, has been designated as a Dark Sky Preserve. “Using Ontario taxpayer funds to subsidize a U.S. company that destroys an Ontario nature preserve seems grossly irresponsible, fiscally and environmentally,” Albinson writes in the letter. The majority of residents are united against the proposal, as is the local government. The North Frontenac Township has voted 7-0 against a wind farm in the area. Regardless, the province appears poised to approve it. The turbines would be built on crown land, however an agreement is in place where the township is charged with managing the use of that land. It remains to be seen if that agreement will have standing in the township’s refusal to host the wind farm. All of this frustrates Mayor Ron Higgins. “It is a struggle. I do feel helpless about it. But I have to do whatever I can to convince the government that this is not a good idea for our specific area,” he says. The development and protection of Dark Sky Preserves is growing in Canada, with 13 areas across the country designated by the Royal Astronomical Society of Canada. The purpose of having regions devoid of artificial light sources is to allow visitors and residents the chance to appreciate and view the stars in the sky. Over one third of school-aged students in urban areas have never seen the Milky Way despite it being easily visible in an area without street lights, lit office towers and porch lights. In fact, in an urban centre only a dozen stars are clearly visible. The loss of a dark sky region in Canada, especially one so close to major urban centres, is a setback for astronomers and nature-lovers alike. For more on the North Frontenac Dark Sky Preserve listen to science columnist Torah Kachur on Cape Breton’s afternoon radio show, Mainstreet. Addington Highlands’ Council voted this week to survey residents on the proposed wind power development that could see 100 or more industrial-scale, or utility-scale wind turbines throughout the area. If you own property in Addington Highlands, you are eligible to participate and should do so immediately. Residents of North Frontenac and Addington Highlands (also known as Land O’ Lakes area) have organized to fight the threatened 150-turbine wind power development by NextEra. NextEra is the renewable energy arm of the U.S. power company, Florida Light and Power. As Parker Gallant has revealed in a post on this site, FPL is doing so well scooping up subsidy money here in Ontario, they have actually provided rate reductions to their customers in the United States. See the website for the Bon Echo Area Residents Against Turbines here. The website is under construction and promises more detail later, but features a petition for signing now. Citizens recently held a community meeting in Denbigh that included presentations by Parker Gallant and Carmen Krogh. The group also has a Twitter account bearatorg and Facebook page. U.S.-based NextEra is proposing a wind power project for the Addington Highlands in Lennox& Addington (just north of Belleville, east of Bancroft) which could see as many as 150 giant wind turbines erected in the area. A community meeting was held last evening in Denbigh; read a report on the meeting from Wind Concerns Ontario here. While the FPL customers can currently consume 1,000 kWh a month at an all-in price of 10.2 cents/kWh, rates in Ontario have been increasing at about 10% annually. That 1,000 kWh purchased from Toronto Hydro will set you back $169.00 (65% higher) versus $102.00 from FPL. The natural and first inclination is to believe that it is probably due to their sources of electricity and perhaps their efficiency levels; while the latter is probably true (they claim 8,900 employees versus the 20,000 plus we have in Ontario) their sources of electricity only include a passing nod at renewables and then only “solar” which seems reasonable in the Sunshine State! 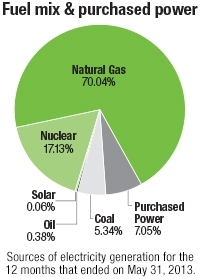 The pie chart showing FPL’s “Fuel mix & purchased power” indicates at least 75% of electricity supplied to their ratepayers is fossil fuel-based. Solar provides just over a half of 1%! NextEra power sources: barely a nod to renewables in the U.S. The 482 MW of rated capacity should produce power at 29% of capacity, which means they should generate about 1.2 million MWh (megawatt hours). The equation therefore is as follows: 482 MW @ 29% X 8760 hours in a year X $135 per MWh x 20 years = $3.2 billion. That means revenue per FPL customer of about $35 per year. If only $2 finds its way to FPL’s customers, it will help to keep the rates down. 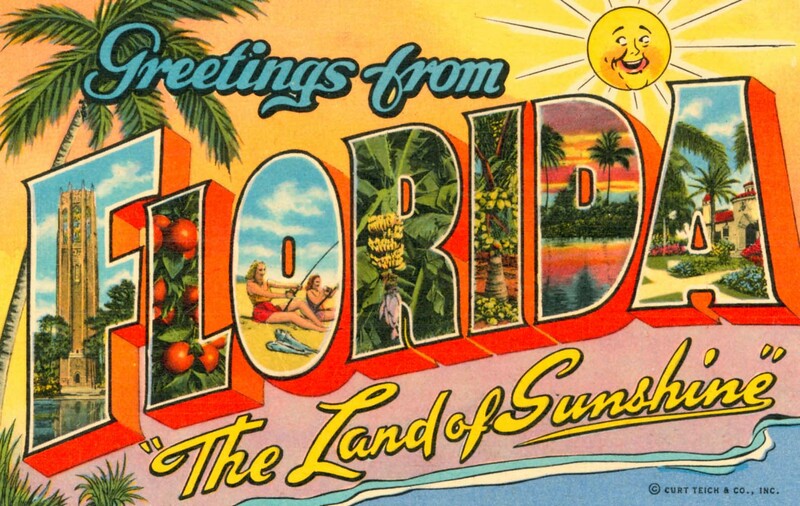 Ironically, Ontario’s Snowbirds pay much higher rates at home; no wonder Canadians own more property in Florida than citizens from the next five nationalities combined! Too bad their winter electricity bills will be waiting for them when they get back home. The views expressed are those of the author. What’s a Redside Dace? Well, if you don’t know, don’t worry–it won’t matter for too much longer. He [Wren] also reviewed the 2004-2005 survey by Streams Ontario for the MNR. In Dr. Wren’s opinion, the MOE “did not demonstrate due diligence in considering or evaluating sensitive fish and fish habitat in the project study area, with particular reference to the fish species Redside Dace”. The absence of a species at risk occurrence does not mean that they are not present and as a result due diligence is still required … . It should be noted that from a species at risk perspective this is an understudied area and as a result the MNR will be looking to ensure appropriate due diligence as it relates to field work was conducted to consider these species in further NHA reports for this site. Dr. Wren also gave evidence about directional drilling and “fracking”, and soil erosion and sediment, and their likely effects on fish habitat and fish. “Fracking” in this context is the accidental release of fluids toxic to fish that can occur during drilling to place transmission lines underground at water-crossings. It is Dr. Wren’s view that a “frack out” could cause serious and irreversible harm to an endangered species such as the Redside Dace.